was held from 11 to 14 June 2018 at Harris Barlerang Resort at Batam (Indonesia). About 31 participants comprising members of public as well as students and teachers from Raffles Institution, Hwa Chong Institution, NTU, and NUS gathered at Harbourfront Ferry Terminal on the morning of 11th June. The journey to the resort was smooth: it took 1.5 hours by ferry and coach. There was reasonably clear sky on the last third night – the Milky Way was visible to the naked eye, and Jupiter and Saturn were both easy to spot. The stargazing area, near the beach of the resort, gave a wide and unblocked view to the east, which gave stargazers a good window of opportunity for observation and astrophotography. Participants returned home safe and satisfied on the 14th June 2018.
was held from 13 to 16 June 2017 at Agro Beach Resort at Bintan (Indonesia). About 95 participants comprising members of public as well as students and teachers from Nanyang Polytechnic, Raffles Institution, Hwa Chong Institution, NUS High, and NUS gathered at Tanah Merah Ferry Terminal on the morning of 13th June. The journey to the resort was smooth: it took only three hours by ferry and coach. There were good skies on two out of the three nights – the Milky Way was visible to the naked eye on the first night, and Jupiter and Saturn were both easy to spot. The stargazing area, on the rooftop of the resort, gave a wide and unblocked view to the east, which gave stargazers a good window of opportunity for observation and astrophotography each night before moonrise. Participants returned home safe and happy – they had learned, through experience, what it is like to stargaze at a dark sky site with minimal light pollution; interacted and made friends with students from other schools who shared a common interest; and learned about astronomy’s many facets through the various talks and workshops. 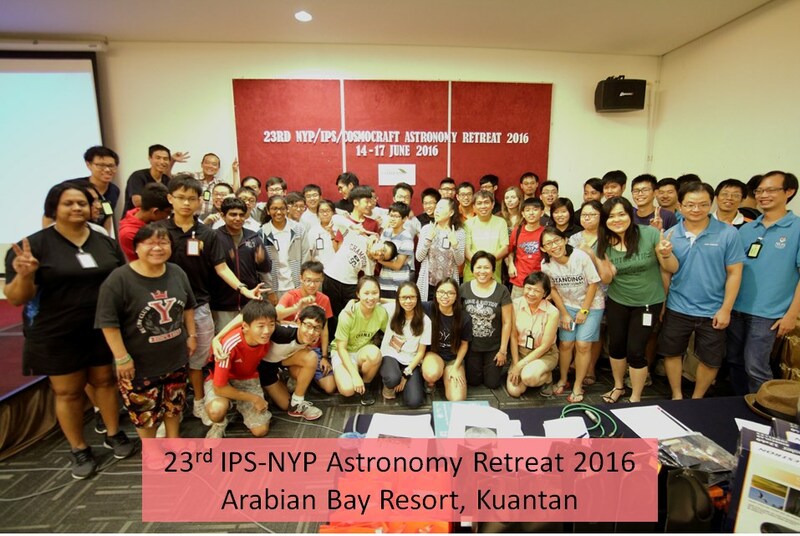 On the journey back to Singapore, several of the students recalled their experience with joy and expressed an interest in next year’s event – the 25th NYP–IPS Astronomy Retreat 2018.
was held from 14 to 17 June 2016 at at Kuantan (East Malaysia). There were 5 Astrophysics Lectures, one Bird Lecture, 2 Physics Workshops plus 7 Planetarium shows (assisted by our summer student from UC Berkeley, Ms. Megan A.) with ~ 90 participants. Participating schools : Hwa Chong, Raffles : RI & RGS, NUS High Sch, Paya Lebar Methodist Girls’ Sch, S’pore Science & Tech Sch. Nanyang Poly and several members of the public. 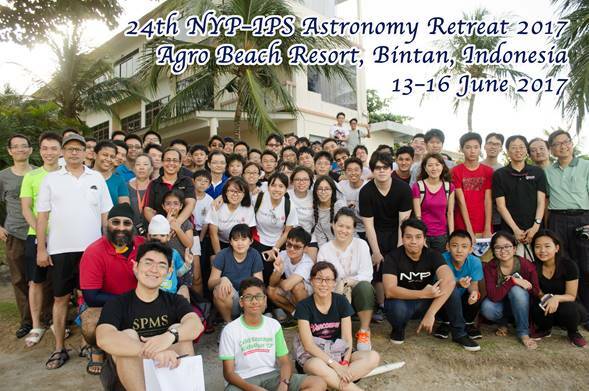 We specially like to thank the following Council and IPS Members : Jeremy Chong (NYP), Qixiang(NUS), Jit Ning(HCI), Hoe Teck (SSTS), Meng Lee (NTU) and Abel Yang(NUS) for their enthusiastic and assistance and support for another very successful year of this long running series of Astro-Retreats … way back to 1994. A big thank you to Ms Carole Au (Cosmoscraft) for organising the massive logistics for us. 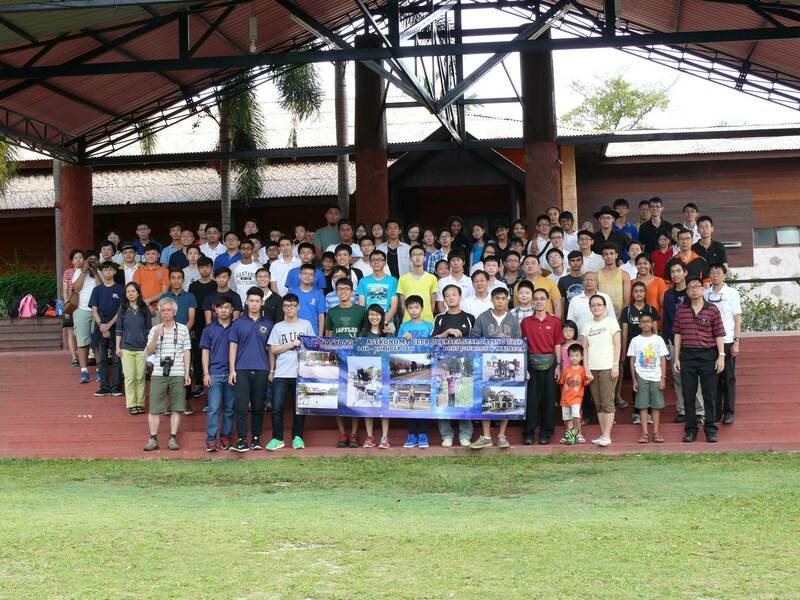 was held from 14 to 17 June 2015 at Eagle Ranch at Port Dickson (Malaysia). About 130 amateur astronomers made up of students, teachers, and members of the public took part. Participants were entertained and informed by a series of nine lectures on physics and astronomy, as well as a very enjoyable bird-watching expedition led by Dr. Lee Lay Tin and Ms. Cecilia Yip. Eight pairs of binoculars and several astronomy-themed quiz prizes were given out. The skies were great on the final night of the retreat -- the Milky Way and stars showed their colours and majesty!